A beautiful tear drop shape is masterfully hand-blown in Poland. Light is artfully diffused inside of the warm colored glass. 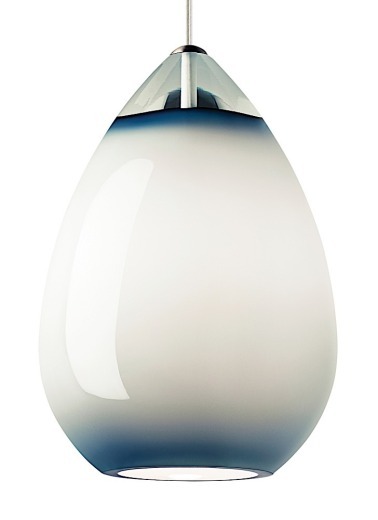 This simple yet exquisite pendant is perfect for bedrooms, kitchen islands or even bathrooms. Select the monopoint finish in satin nickel, antique bronze, white or black.